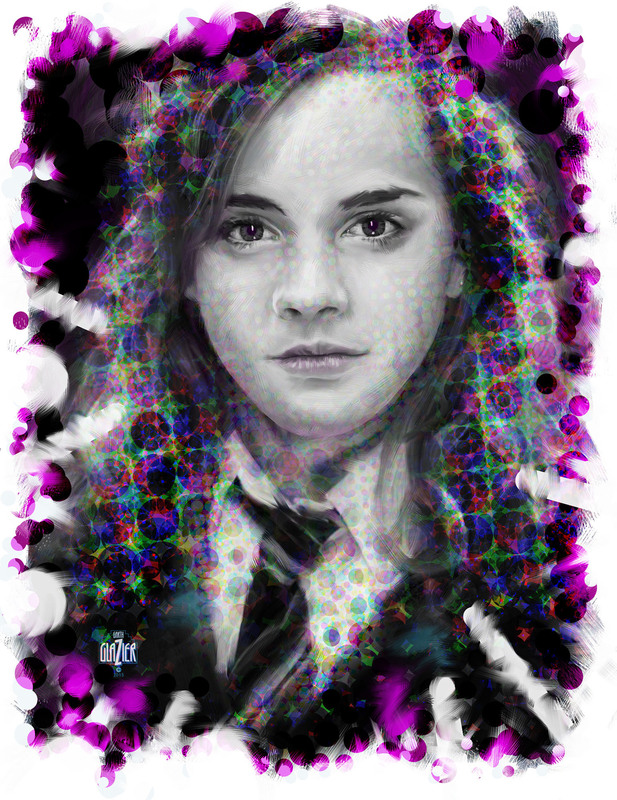 I wanted these Harry Potter portraits to lake it ook like the characters were emerging from a field of magical energy that represents their unique identity as wizards and witches. 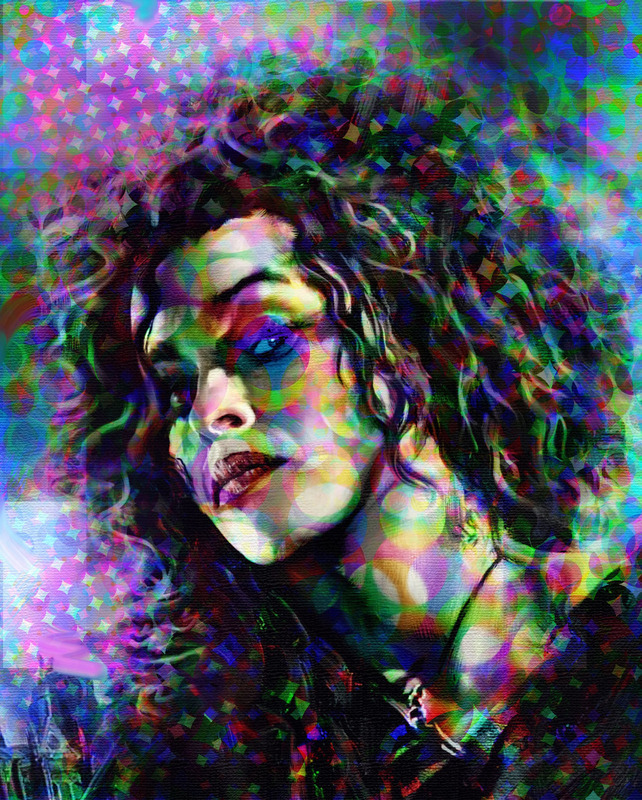 These Op-Art portrits are created from a some previous paintings of mine. I refer to them as deconstructed paintings or "Op Art Impressionism." 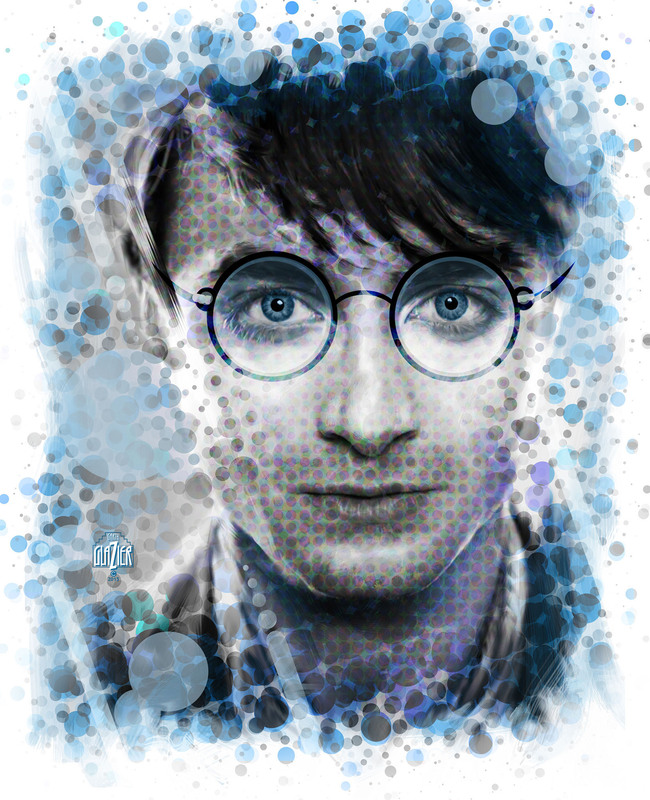 I wanted all these Harry Potter portraits to look like the character was emerging from a field of magical energy that represents their unique identity as wizards and witches. The technique evolved "magically" out of an exercise I was doing recently for my illustration students. This one is more complex. The Impressionist style layering of color and shapes creates an interesting result. Harry Potter in the "Cloak of Invisibilty." The concept here was to make it appear that Harry was looking out from his cloak of invisibility. The dot patterns were created by translating succssive layers with the halftone filter in Photoshop. 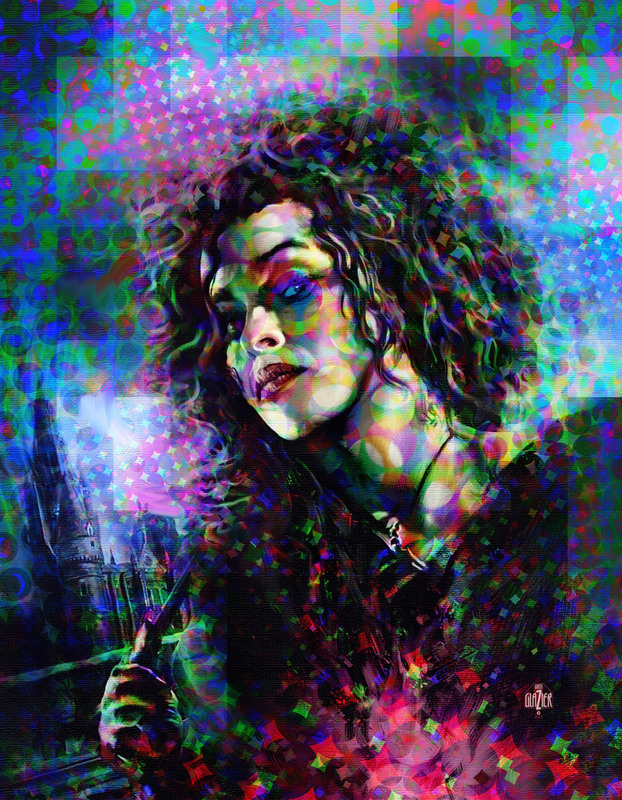 Transparency and a different blending mode was used on each layer to devop a sense of energy and deep space. 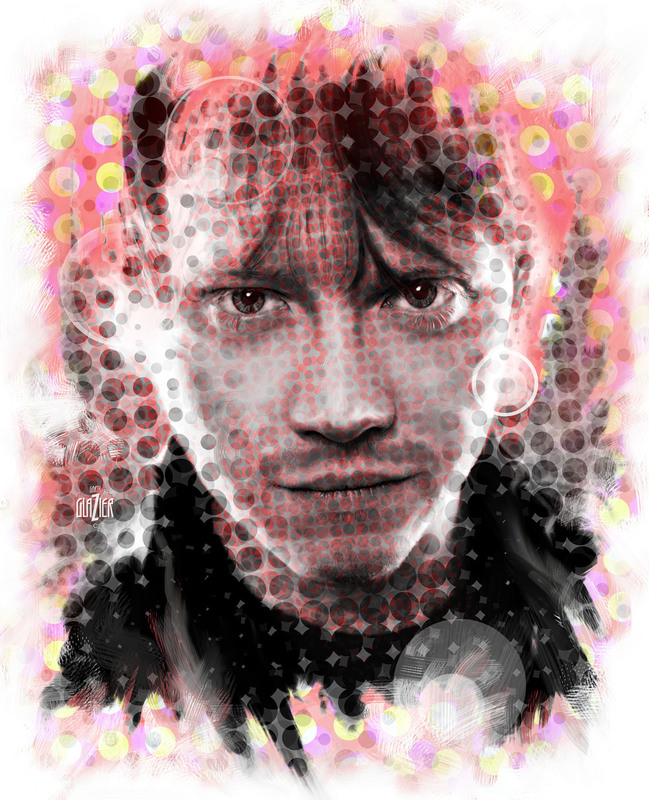 Being a hotheaded redhead Ron needed warm hues so I surrounded him with variations of red dots and paint. Hermione had to have a different color palette that Harry. The original painting was progressively converted to dot patterns that were overlaid on each other until a unique pattern appeared. I then painted back into the patterns.